On Saturday, I took my first venture into vegan and gluten free baking and let me tell you, it was… terrible. I tried to make these adorable looking “creamsicle” cupcakes I found on Pinterest and they were just awful. Awful, awful, awful. The texture was awful, the flavor was awful, just… awful. And I swear to you I followed the recipe exactly, but… awful. I remembered that a vegan friend of mine had mentioned she makes all kinds of crap with cashews, so I figured I would give that a try and I sat back down to dig through Pinterest to see what else I could try not to screw up. I had a bunch of veggies I was going to serve, and I realized I didn’t have anything to serve with them. So I sought out to find a dip of some kind, and I came across this recipe for a Vegan Cashew Dill Dip. 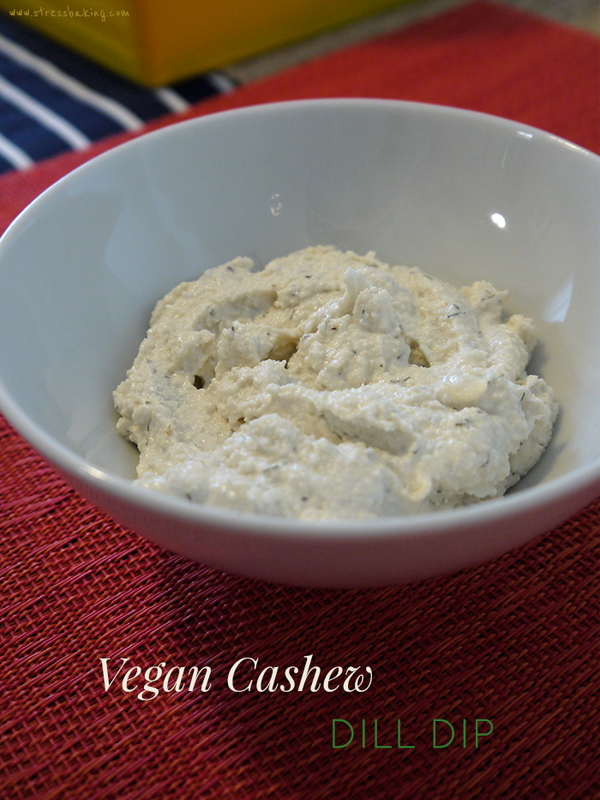 I’m still baffled at how diverse cashews can be, and this recipe is no exception. I made a few tweaks and omitted the mustard and cold water. It turned out well and my friends enjoyed it, so I will consider this a success! Thank you, Domestic Charm!